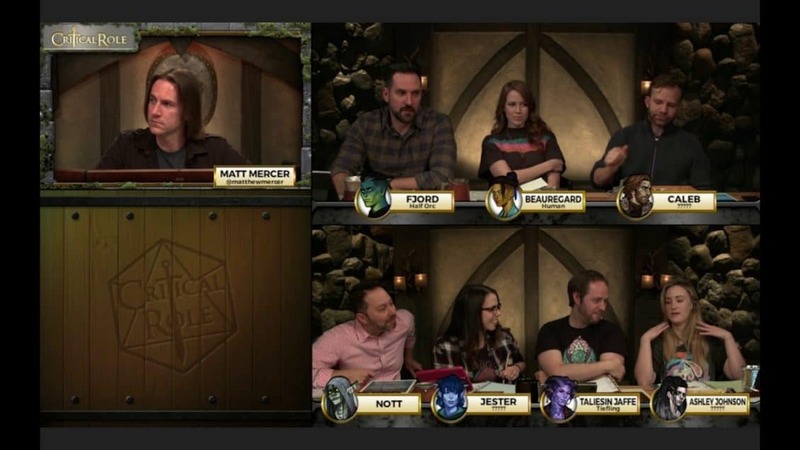 We have looked at the players and their characters in the first 25 episodes of the Critical Role web series, where a bunch of nerdy voice actors play Dungeons and Dragons. Here is that look at the main Critical Role characters. It is especially interesting looking to see what is going to happen with 3 of the regulars going on hiatus for at least a little while. Here is that look at those “missing” Critical Role characters. But the players and their characters aren’t the whole story. What about the Dungeon Master? Matthew Mercer has become a pretty polarizing figure among the D&D community. As my brother pointed out one day, if you want to get a bunch of comments on a post, mention Matthew Mercer on the Dungeons and Dragons 5e Facebook group and get out of the way. For me, as I have watched him for a bit now, there are some things that I think that he does that are great, some that are okay and a few that aren’t my favorite. But I wanted to highlight some things that I think he has done really well in this campaign. Matt Mercer pays respect to the classics. Think about this, in the most popular era of Dungeons and Dragons ever, the most well known example of it isn’t any of the properties that Wizards of the Coast owns. It is the homebrewed world of Tal’Dorei that Critical Role plays in. And yet, it is clear that Mercer has a ton of respect for the oldies. Over the course of the 25 episodes we have seen the classics of gnolls, a gelatinous cube, zombie trolls, merfolk and more. Even when he is doing something new and interesting, it is done with a reverence for the past. He could completely go off book, do his own thing and move forward and instead, he gives the classics some love. He is slowly building out a world. Mercer put out a book last year for campaign one that was all about the world the show is placed in and it did really well by all accounts. This season, he has done the same work of slowly building out a new part of this same world. The thing that I appreciate about how he is doing it is that it hasn’t felt like he has pushed it too hard. The occasional moment is him as DM sharing something with the PCs like “You would know this…” It is a little hook that works well. But it also a world. We see that there are lands that have entered into war, rebellions, and more. It feels very rich and very much like there is much more to be revealed and that he has a handle on it. He builds great NPCs. If we all try and emulate Mercer’s voice acting work, we won’t do well as DMs. But what we can all do is work hard to make interesting, quirky characters. 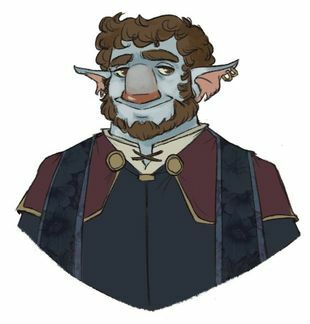 For instance, Mercer created the shopkeeper Pumat Sol, a firblog who has copies of himself and they all run the magic store in the first city the characters were in. Immediately the characters were fascinated and drawn towards him. In full disclosure, I hate shopping as a part of D&D, both as a player and a DM but he made it really interesting. In every encounter, you get the sense that Mercer has worked out important ideas about the characters and uses that to further everything else. Other examples have included The Gentleman and the Crown’s guard. He gives his characters agency. Want to not railroad your players but still guide them into certain things? Watch as Mercer has taken what I call “The A Team” approach. On the classic TV show, the A team would accept missions and go out and do them. Mercer has given his group the chance to choose their own adventures as he has laid out opportunities for them. Another example has become the almost comic “Insight check” yell. Because the characters are new and don’t really know each other well, there are moments where they want to know if their character believes their friend. In real game terms, they should ask, Mercer should ask them to make a role and update them. Instead, he has allowed the “Insight check” battlecry to keep happening, even though it bugs him and the players are on to that, which probably just furthers them doing it more often. He has chosen to let the characters to have fun and that is cool to see. Extra credit: He tackled a Kenku and did it well. 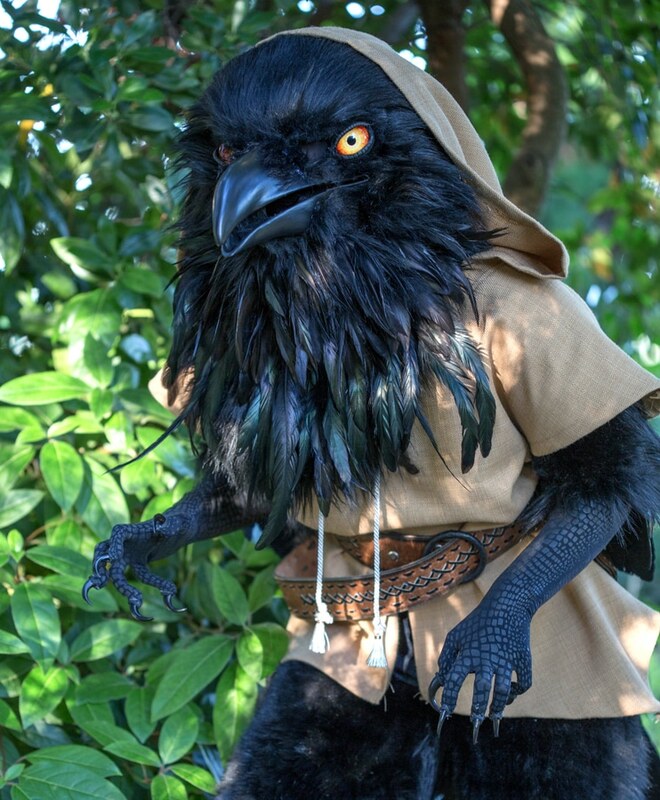 In 5e D&D, the Kenku exists as a class of character that I just shake my head at. The main reason? The characters are only supposed to be mimics, meaning that they can only repeat what they have heard. They can use it to express their real thoughts. It basically means that in the hands of a poor player, you get someone who only quotes Jim Carrey movie lines (and not the good movies like Truman Show and Eternal Sunshine of the Spotless Mind). But over the last 5 episodes, Mercer introduced Kiri, a young Kenku that the group rescues from a large crocodile in the swamp. And he has done it magnificently. He clearly has been taking some notes as people speak around and a list of things she can say. And I suspect that he maybe had Jester give the girl some specific lines that would prove useful but, man alive, he has done it so well! In addition to DMing, he took on this challenge and I can genuinely say, I have now seen a Kenku character played well, when I didn’t think it was possible. That he does it while taking crap from others on the internet when he is just trying to have fun with his friends (admittedly online) makes it even more admirable. For me, I enjoy his work and it challenges me to work and become a better DM as well.